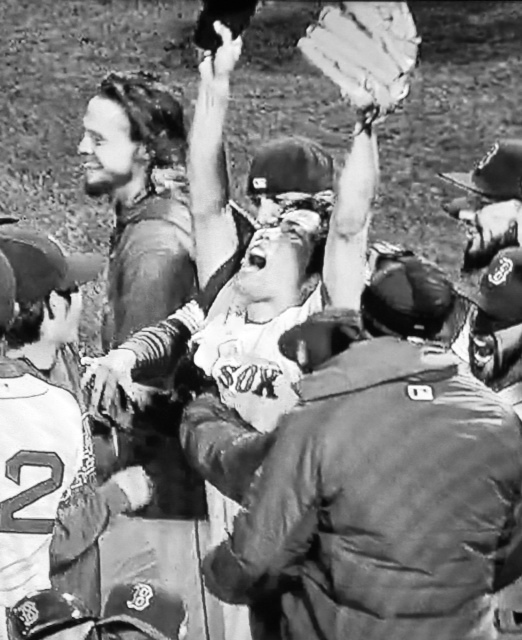 The Boston Red Sox won the World Series Wednesday night. Its their third time in 10 years, but the meaning behind this particular accomplishment is super special to the city because it marks the first time the team has won a championship at home in Fenway Park in 95 years. In a best-of-seven series, the Sox bested the St. Louis Cardinals 4-2, with the final game of the series being a strike out of Cards second baseman, Matt Carpenter, by pitcher Koji Uehara. Starting pitcher John Lackey gets the 6-1 win. David Ortiz earned World Series MVP honors and dedicated the award to the city of Boston. This is Big Papi’s third championship as a member of the Red Sox.